In August 2000, my now husband proposed on a hot air balloon ride above the scenic St. Croix River dividing the states of Minnesota and Wisconsin. It was one of the happiest moments of my life. I quickly discovered, however, that as much as I wanted to be married to Tom, I didn’t want a wedding. I had visions of us running down to city hall over our lunch breaks. Still, we both wanted a special and memorable event to launch our new lives together. 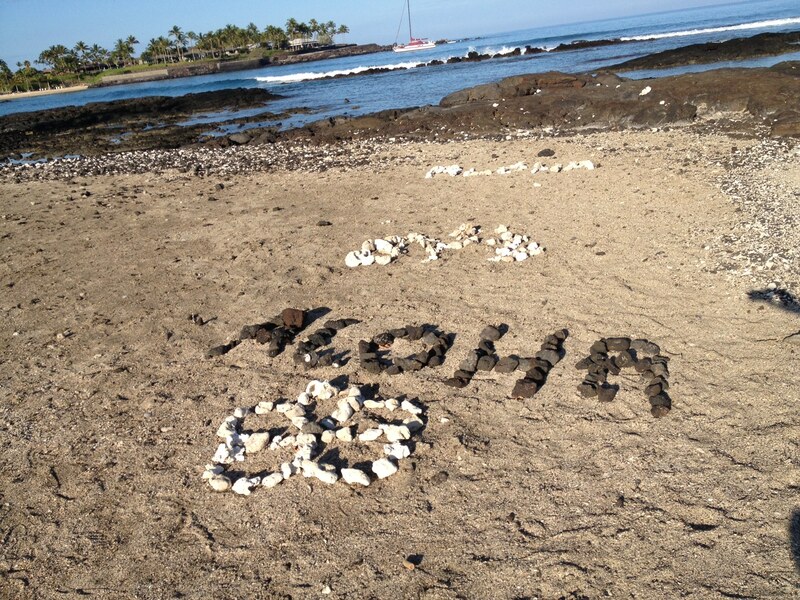 Tom looked at me one day and said, “How about Hawaii?” See why I love this guy? So, off to Hawaii we went. With a generous wedding gift of a week in a timeshare, we requested anything available in March 2001 on any of the Hawaiian Islands. Our luck of the draw was the island of Hawaii—or the Big Island as it’s called. What? I thought they were all the islands of Hawaii. It turns out that the Big Island of Hawaii shares its name with the state of Hawaii. It is also, as its name implies, the biggest of the Hawaiian Islands. So big, in fact, that all of the islands together could fit onto the Big Island. It is also the largest island in the United States. As we flew into Honolulu in early March 2001, I looked out from my window seat to see a rainbow sweeping the sky as we landed. It was a magical layover before our flight into Kona. Who knew that a layover could be magical? It was. After an airport mai tai, we were off on Hawaiian Airlines for a quick flight into Kona. It looked like we had landed on the moon. And so, the adventure and love affair with Hawaii begins. This entry was posted in Hawaii, Travel and tagged Big Island, Destination weddings, Hawaii, Hawaiian Islands by alohajournal. Bookmark the permalink.